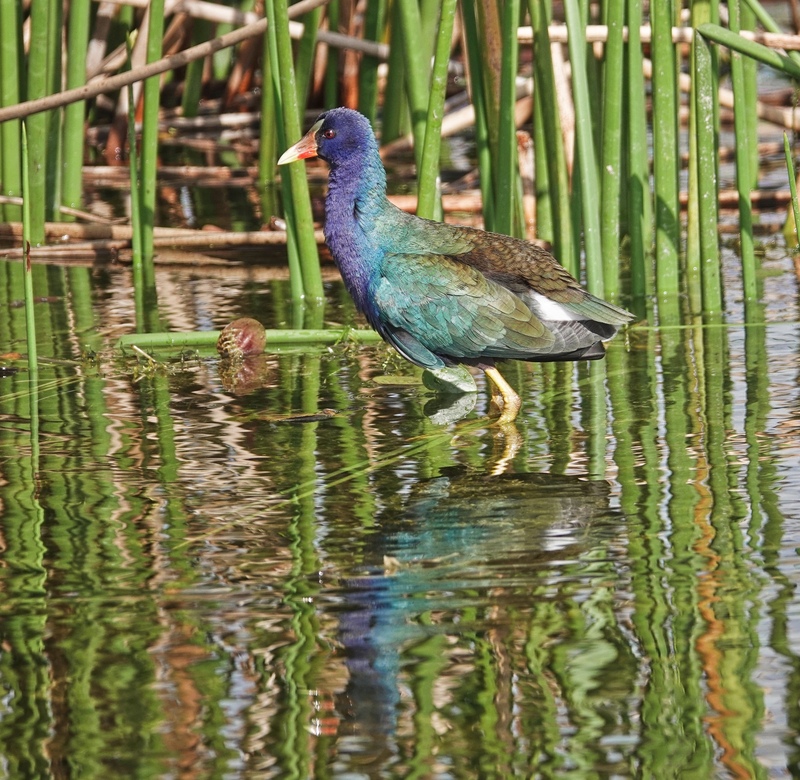 The Purple Gallinule is, of course, one of the real “stand out” resident birds of Florida. 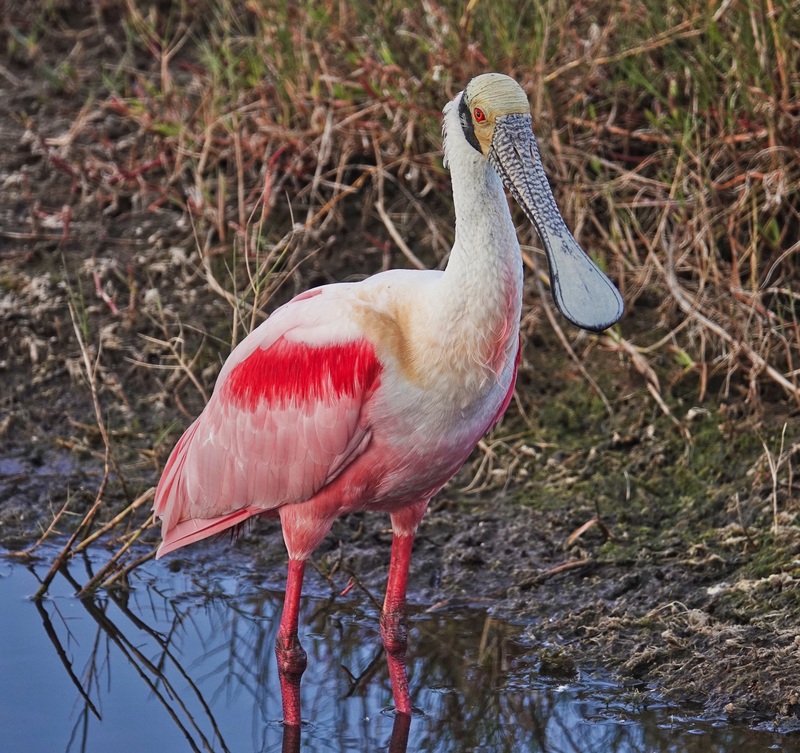 You can find them along the Gulf Coast and north to Georgia in summer, but Florida is the easiest and most likely place to see them in the US…and Orlando Wetlands Park is the easiest place to see them in Northern Florida. I found three pairs feeding along the short run of Bobcat Lane, on either side of the dyke. There were close birds than this on, but this one had the light…and the light is what Purple Gallinules are all about. Backlighted they can look almost totally black. Only in good light, do you get this amazing pallet of blues and purples and greens…set off by the red eye and beak. Sony RX10iv at 600mm equivalent. My birds and wildlife modifications of Program mode. 1/640th @ f4 @ ISO 100. -.3EV. Processed in Polarr. By noon Monday I had all the Florida birds I had wanted to photograph except the Florida Scrub Jay, so I drove down to the Helen and Allen Cruickshank Sanctuary in Rockledge. 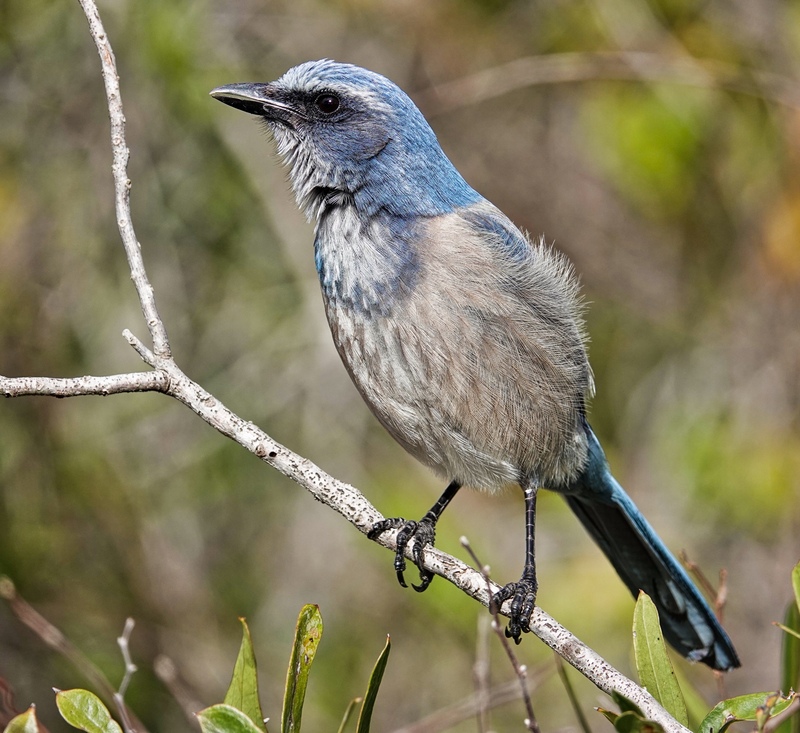 My daughter Sally and friends had had close encounters with the Jay there the week before, and I had not heard of any sightings this year on Scrub Ridge Trail at Merritt Island, where I have seen and photographed them in previous years. The Sanctuary parking lot was flooded, but I found enough dry ground to park at one edge. It was my first visit and I did not know what to expect. The sanctuary is basically a few acres of scrub surrounded by suburban sprawl, with a few tall pines. The trail is like a balloon with a dangling string. You walk up the string and around the balloon. I walked all the way around the balloon and only saw three Jays…and none closer than 50 yards. Sigh! When I got back to the string I decided I had one more loop in me, and turned back to walk the balloon the other direction. Right away I saw two big birds sitting in a tall pine beside the trail. Osprey. I was able to get some nice shots of the pair. Then, just by the observation platform I head the unmistakable music of Jays in bush. You would only call it music if you really wanted to see Jays, but there it is, and I did. I tracked down the first Jay of the group well hidden in a bush about 10 feet in from the trail, but then two hopped out on the sandy trail looking for fallen berries and seeds on either side of me, and again 10 feet away. This was more like it! Eventually a Jay came and sat up in plain sight and posed at about 8 feet and eye-level…so close I could not fit the whole bird in the frame at 600mm. And here you have it. Sony RX10iv at 513mm equivalent. My birds and wildlife modifications to Program mode. 1/800th @ f4 @ ISO 100. +.3EV. Processed in Polarr. 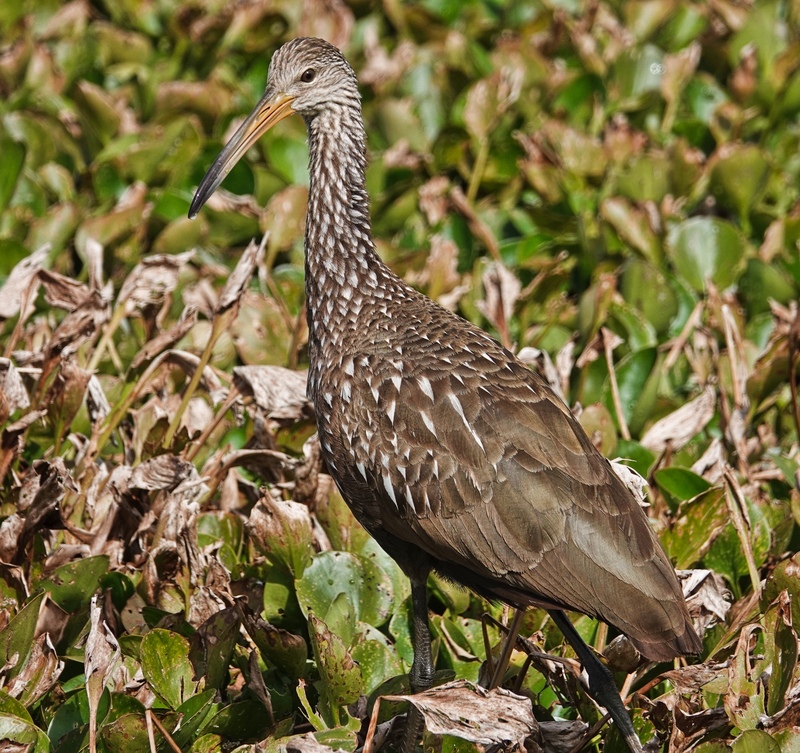 The Limpkin is an ancient bird and one of the most highly specialized. It eats only snails, Apple Snails by preference, but with the decline of the Apple Snail, it will eat one of introduced species that is infesting Florida waters as well. It is locally common in Florida but it is one of those birds that either is there, or isn’t there, and most places, even in Florida, it isn’t. I have seen them regularly at Viera Wetlands in small numbers, and found several yesterday at Orlando Wetlands Park in Christmas. Sony RX10iv at 600mm. My birds and wildlife modifications of Program mode. 1/1000th @ f4.5 @ ISO 100. -.3EV. Processed in Polarr. 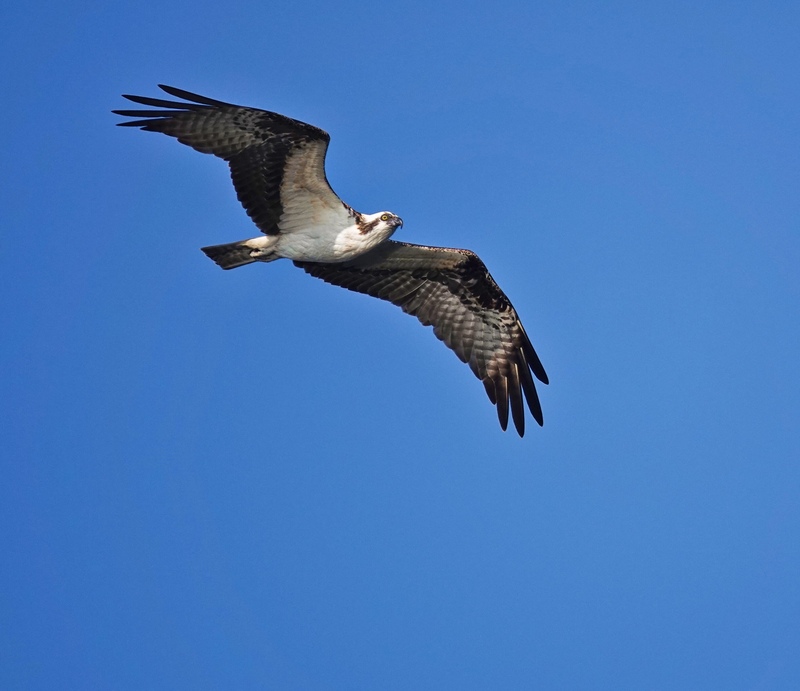 Merritt Island National Wildlife Refuge has a huge population of Osprey. Sometimes they are every other power post along the causeway and the road coming in, and they are certainly the most common raptor along Black Point Wildlife Drive. My Advanced Point and Shoot Nature Photography class was practicing flight shots so we stopped when I saw two Osprey circling over a pond, and waited, and were rewarded with one of the birds passing right over head. I was perfect light, with enough light reflected from the water to illuminate the underside of the wings. Sony RX10iv at 600mm equivalent. My birds in flight and action modifications to Program mode. 1/1000th @ f4 @ ISO 100. Processed in Polarr. 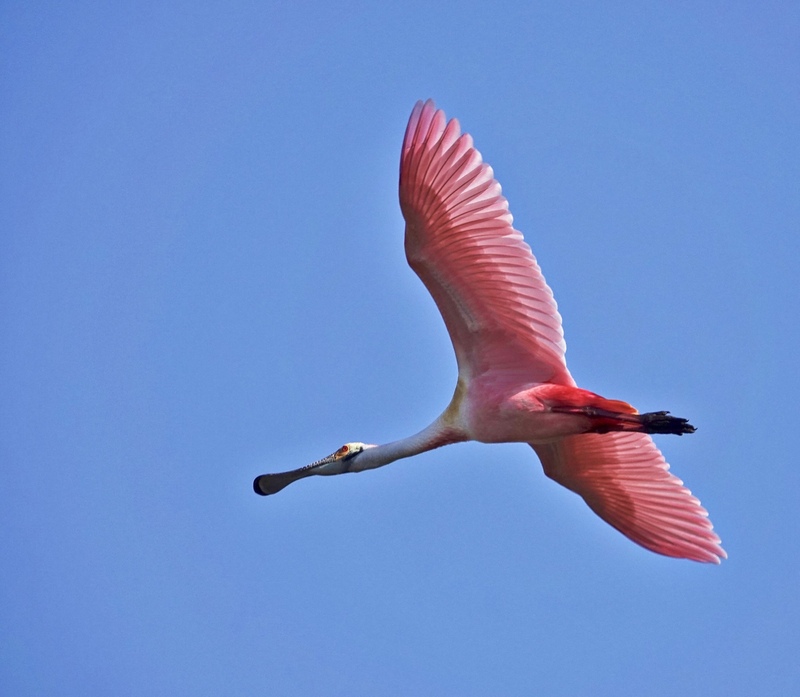 Roseate Spoonbills are striking birds at any time, but in flight, with the light behind the wings, they are spectacular. I happened to be in the right place at the right time on Black Point Wildlife Drive at Merritt Island National Wildlife Refuge to catch a group of Spoonbills moving from one feeding site to another, passing close overhead. My birds in flight modifications of Program mode enabled the Sony RX10iv to catch the birds against the clear Florida sky, and there was enough light reflected from the pools of water to nicely light the underside of the wings. 1/1000th @ f4 @ ISO 100. Processed in Polarr. A classic shot a classy bird. Great Egret off Black Point Drive at Merritt Island National Wildlife Refuge in Florida. 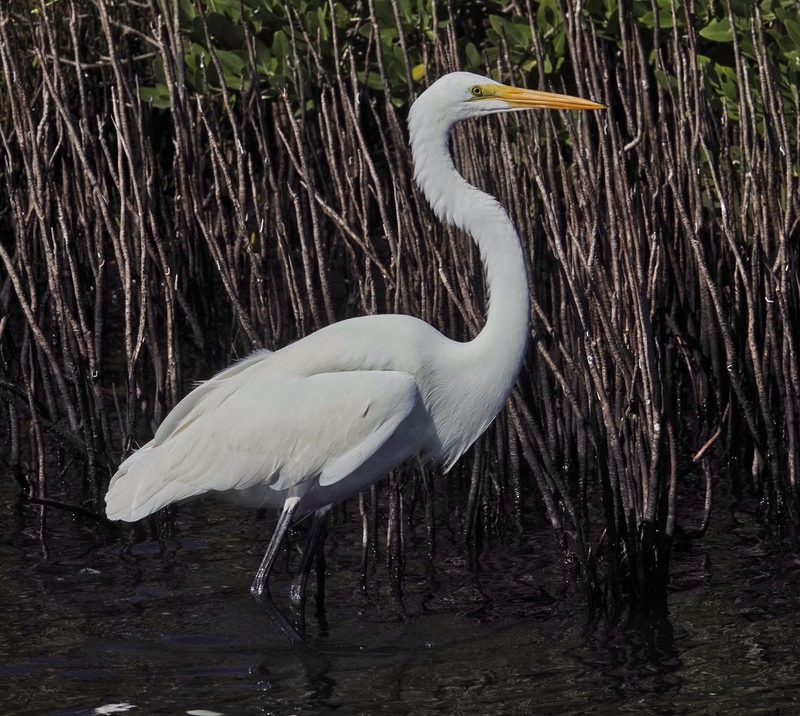 Great Egrets are almost always elegant. Sony RX10iv at 600mm equivalent. My birds and wildlife modifications to Program mode. Processed in Polarr. There are always a great many Tri-colored Herons along Black Point Wildlife Drive at Merritt Island National Wildlife Refuge and the Government shutdown, thankfully, has not changed that. 🙂 They vie with the White Ibis for the title of most numerous wader in January. And they are a beautiful bird. It was still overcast when I got this shot a few mornings ago, but that only emphasizes the range of subtle shades of color in plumage. Sony RX10iv at 600mm equivalent. My birds and wildlife modifications of Program mode. Processed in Polarr. 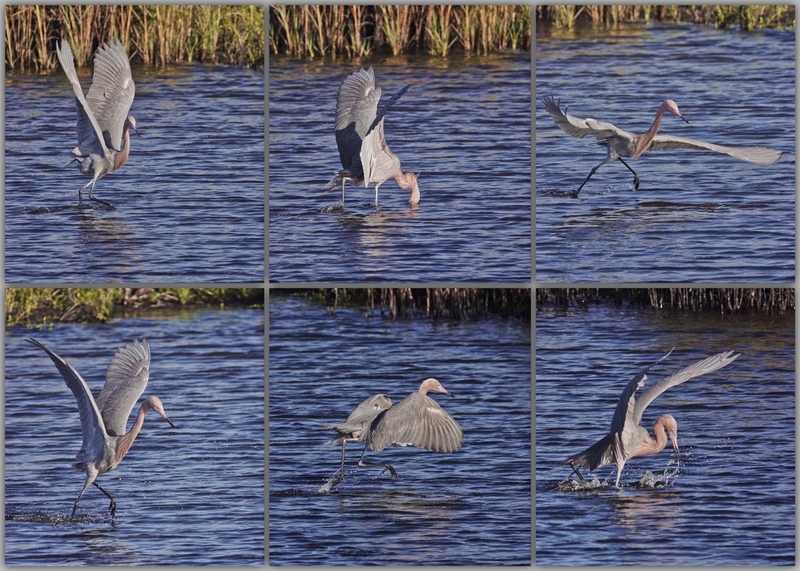 One of my favorite actions to watch is the Reddish Egret fishing. It is definitely a dance, though a sometimes erratic one. 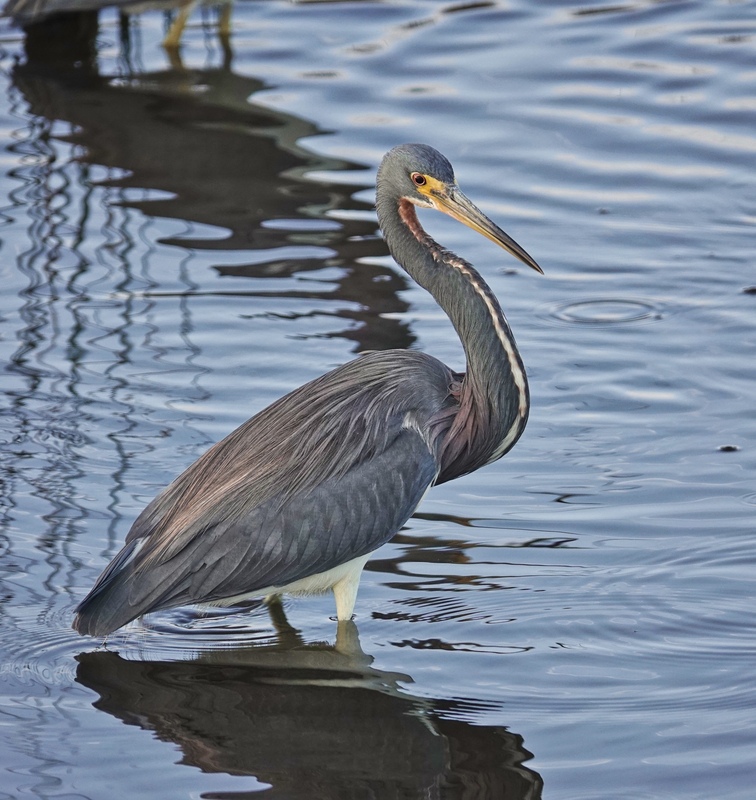 This bird was along Black Point Wildlife Drive at Merritt Island National Wildlife Refuge in Titusville Florida. Sony RX10iv at 600mm equivalent. My birds in flight and action modifications to Program mode. Processed in Polarr and assembled in FrameMagic. Back in Florida for the Space Coast Birding and Nature Festival in Titusville. I got out to Merritt Island and Black Point Drive this morning and saw all the usual subjects except for Wood Stork. The Roseate Spoonbills, in full breeding plumage, were particularly cooperative. Sony RX10iv at 600mm equivalent. My birds and wildlife modifications of Program mode. Processed in Polarr. 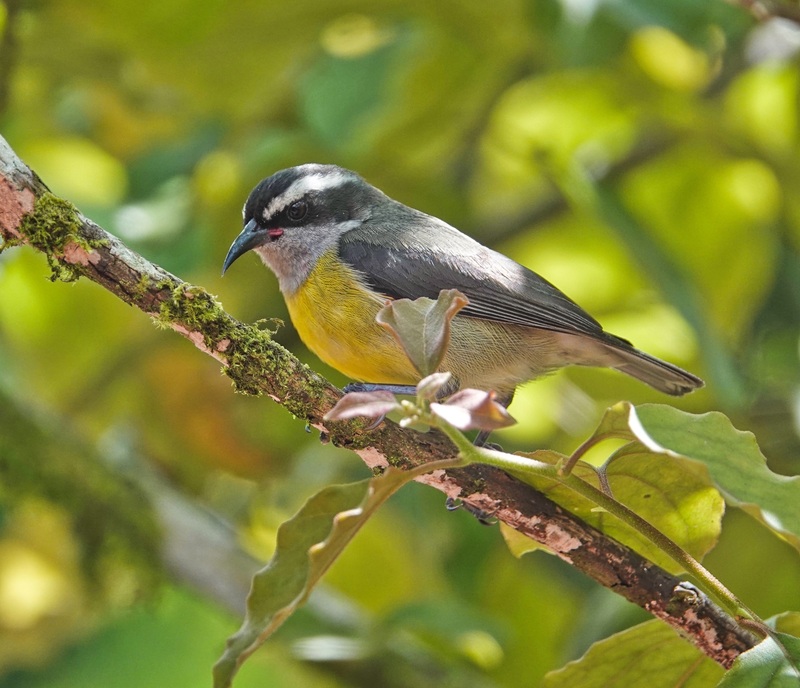 The Bananaquit is certainly one of the most common birds at mid-elevations in Costa Rica. This one was at the La Paz Waterfall Gardens just over the continental divide on the way from San Jose to the Sarapiqui region. Sony RX10iv at 600mm equivalent. My birds and wildlife modifications to Program mode. Processed in Polarr.